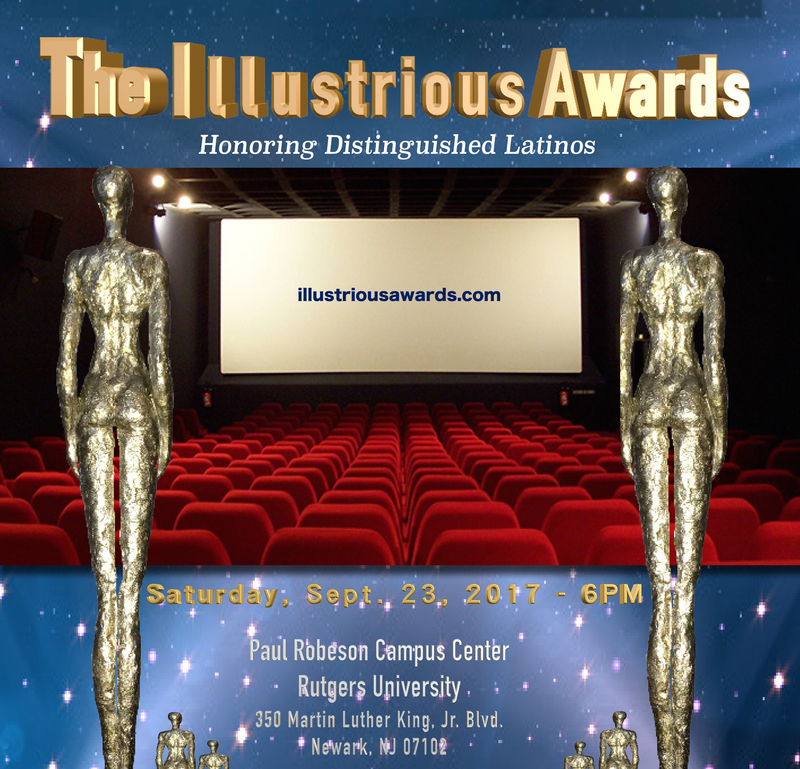 The Institute for Latino Studies (ILS) is pleased to present in video the recipients of The Illustrious Awards 2017. The Black-tie ceremony will be held at the historic Paul Robeson Campus Center at Rutgers University, 350 Martin Luther King, Jr. Blvd Newark, NJ 07102.University in Newark, NJ 07102 on the night of Saturday, September 23, 2017 at 6:00PM. 2016 Illustrious Awards Nominees and guests. Ceremony at Rutgers University’s Paul Robeson Center in Newark, NJ. Photo by Eduardo Hoepelman. 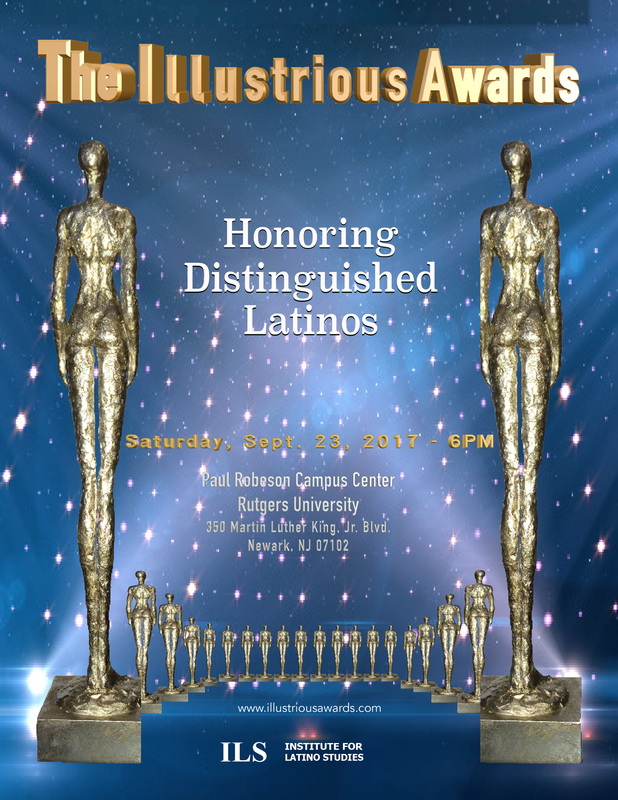 The Illustrious Awards Ceremony, a signature initiative of The Institute for Latino Studies, documents and highlights the contributions of Tri-State Area Latinos to the advancement of the United States of America. The contributions of Latino icons are video-featured and honored in a professionally produced formal ceremony and Collectible Tribute Journal. Nomination of candidates is made by boards of education, institutions of higher learning, professional associations/organizations, chambers of commerce, community organizations, government institutions, and the general public in fifteen (15) areas: Arts, Business & Entrepreneurship, Education, Television & Entertainment, Drama & Film, Government, Social Sciences, Judiciary & Law Enforcement, Leadership, Literature, Politics, Religion, Military, Natural Sciences, and Sports.